A hero or a villain? That will be for you to decide as you begin your journey through Bud Russo’s collection of true stories in “Heroes and Villains of New Mexico.” Some stories are about genuine heroes while others are about wicked villains. You may not remember all the names of the people in the stories, but you will surely recognize their tales from history class. Russo tells three dozen stories, so open the book to Elfego Baca’s story and learn why one Mexican had no fear of American cowboys. As many as 40 people fired more than 1,000 rounds at Baca, who was holed up in a jacal and emerged unscathed. Or, how Navajo Chester Nez, who was denied the right to speak his native language, used Navajo words to help win World War II. Or Sally Rooke, who stayed at her switchboard alerting customers and friends, as the flooding Dry Cimarron River roared through town in 1908. “Heroes and Villains of New Mexico” can be purchased or ordered from local booksellers as well as Amazon.com and is also available as an e-book. 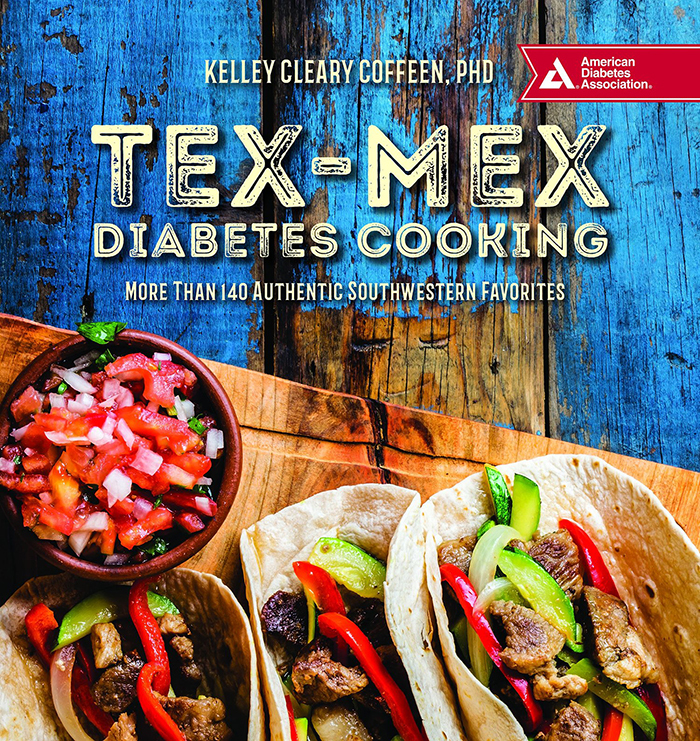 College assistant professor in the Clothing, Textiles & Fashion Merchandising program and noted cookbook author Kelley Coffeen has written a new cookbook featuring Tex-Mex diabetic-friendly recipes. Published by the American Diabetes Association, it features low-carb, low-fat and low-calorie recipes each with authentic flavors. Each of the 140 recipes focuses on fresh local vegetables, fruits, beans, cheeses rich in protein, lean meats, fish and poultry—all with calorie, carb and fat levels dialed in for those looking to lose weight or manage their diabetes. This is not a diet book, but a classic collection of beloved and soon-to-be favorite Southwestern and Mexican dishes prepared in easy, delicious and healthy recipes. Coffeen’s inspiration for the book came from within her own family preparing dishes for her mother who was diagnosed with diabetes. She said the biggest gift to give to someone in your family who has diabetes is to not make them feel like they’re a burden. Recipes found in this cookbook include roasted pineapple salsa, green chile corn chowder, pork and pepper burritos and seared sirloin tacos with guacamole. The cookbook is available at Barnes & Noble and Amazon.com.